Finished a mission by completing all secondary objectives. Finished all missions in Mid-West Subalpine. Got 25 Lung Shots in Single Player or Free Hunt. Got 25 Heart Shots in Single Player or Free Hunt. Took down an animal from over 150m in Single Player or Free Hunt. 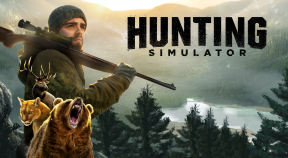 Spotted 100 animals in Single Player or Free Hunt. Completed a hunt without being detected. Successfully called 25 animals in Single Player or Free Hunt. Completed all legendary animal missions. Completed a hunt without analysing a track. Killed 2 animals from the same herd. Killed 2 birds with 1 bullet. Killed an entire flock of birds in Waterfowl Hunting.